On the 31st of March 2017, at long last, we finally have ‘Momochi’ Tsugunaga Momoko holding her first and likely only talk event in this 42nd instalment of the 1001 Nights series of Hello! Shop talk events. With this show, all the Berryz members have appeared at this series of events, though Momo's by herself - all the other members appeared in pairs. Usual disclaimer that these are based on tweeted fan reports and thus should be taken to be an interpretation of the event rather than comprehensive coverage. Momochi herself answered at a rapid pace, taking a total of answering 47 minutes per part to answer 50 questions. Theme for this event was ‘Tsugunaga Momoko’. The event was split into two parts, where Momochi would answer 50 questions from the fans during each part, for a total of 100 questions. Twitter hashtag for the event was #ももち (#Momochi). This post covers the second part - see the first part here. We already know how this goes, so on to the questions. So when? What’s normally done during the opening? Q51. Honestly, what do you think about marriage proposals at handshake events? I think that people who do so are very fortunate people. It's completely fine. Handshakes are a special privilege to those who have purchased our CDs. So it's fine to do anything with the time that you've acquired, as long as it's within the bounds of morality. I don't know what I myself will think about it though. Q52. Of incoming and outgoing H!P members, if you pick your future children? I’m sorry, is there a problem with my reading comprehension? I don’t understand this, I can’t figure out your Japanese. Is my reading ability the problem? No, your Japanese is the problem! Q53. If you could go back to the past and redo something in your idol life, when would you choose? I'm always content, but at the first GekiHaro, I wore an Edo-era wig. I really hated that wig. That was the only thing I hated about that play. If I did the hairstyle I had in the pamphlet, it would have been the best GekiHaro. That's what I’d like to tell myself when I go back. Q54. If you could switch places with any H!P member in history, who would it be? Hmm, well, if forced to say, then Misshige-san would be fine. She has such a satisfied look on her face when that happens, so I'd like to savour that experience. Q55. What to do when one's bangs are cut too short? Q56. What was your excuse when you got caught out for eating gummies despite Country’s sweets ban rule? I just had some collagen in my mouth. It wasn't gummies. Idols have to keep their skin in tip-top condition. Don’t you think that my skin’s beautiful? Q57. Sugaya Risako-chan plucked up the courage to write a happy birthday message for you on her blog, but she called you 'Momoko' in her message. She just sent me a 'Momo' on LINE. I don't get why she'd put the 'ko' in her blog post - she always calls me 'Momo'. None of the BeriKyuu members call me 'Momoko', right? That's because from the very beginning, I asked them to call me 'Momo-chan' and not 'Momoko'. Q58. You selected the members who would do Gag 100kai at this year's Winter Hello! Con. What was the basis for your selection? For Fuku-chan, Hama-chan, and Yumeno-chan, it's because they like Berryz. (Momochi starts singing Gag100kai, mimicking KanaTomo's style) ♫Ichinichijuu~♫... It feels off, doesn't it? Takagi-chan would put ad-libs in it (mimics Sayuki doing so), so no. Given that she's appeared on my serialisation, I picked the idol-like Karin-chan. When I thought about who would do the 'No Nyu', Rikako-chan's face popped to mind. I didn't make the decision for Country, I just said that I'd be fine with whomever. Yanamin ended up getting summoned, for some reason. (laughs) But I'm glad that she got picked, since she watched the dance version and practised with everything she had. I was glad to have the opportunity to pick these members. Q59. The greatest magic you can use? The next question comes from nickname: '3 day 2 night tours for 2 weeks in a row is tough'. It's not just hard on the wallet, it's hard on your time as well, isn't it? My bus tour and ℃-ute's Okinawa tour are pretty close, aren't they? ℃-ute's will be on Sunday, Monday, and Tuesday, then work on Wednesday and Thursday, followed by my bus tour on Friday, Saturday, and Sunday. So if you hide it, what about on days like today? Q60. What comes to mind when you hear the word ‘president’? You know, there's so little time remaining, so rather than having some old dude speak for a third of the time, wouldn't you all be happier with Momochi alone? As the president, he's pretty busy, so I'm being considerate towards him! Q61. What song would you like to leave behind for Country? They’ll go on singing about the good things about Hello! Project. I’d be glad if they treasure what they sing. Q62. MechaIke launched you on your path to variety. But honestly, what did you think when you got dragged by Kato-san? The day before the show, I vowed that my life would definitely change the next day. And my life did change. By 180 degrees. But my muscles were sore the next day. (bitter laugh) It was the same with the HinaFes, my muscles were sore. Recently, H!P had a sports meet. I was exhausted after it ended, and Yajima Maimi-chan and myself were the only ones who got a massage after that. At the Sports Festival we had in the past, I remember passing by Nakazawa Yuko-san, who was getting a massage after the event. We thought it was strange, and wondered why she needed one. Now it's our turn to be in that position. We had dance lessons the next day, and I was pretty sloppy. Q64.I believe that the members go sightseeing when you tour around the country. On your upcoming spring tour, please make sure to go sightseeing with them. I plan to. Mama has been on my case about it. Wota: You didn’t put up photos on your blog! We want photos! Who said that!? 💢 Stop being selfish. Those are precious memories between the two of us! Q65. Who’s cuter: The reborn Michishige or the Momochi right now? Ah, how about I ask you guys instead? 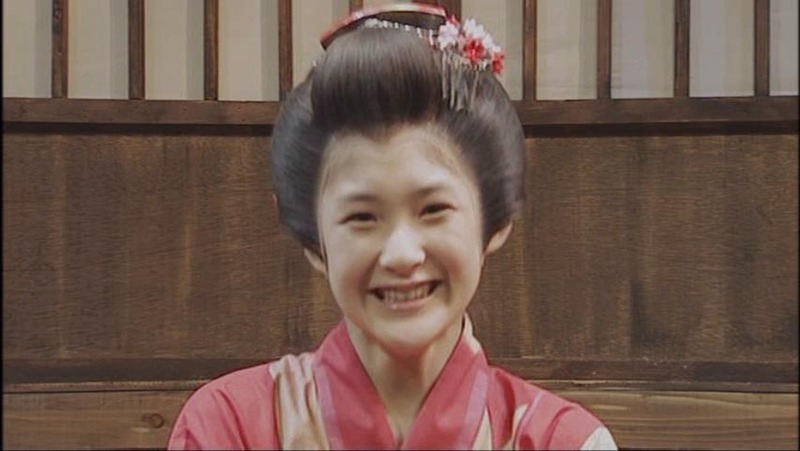 Who thinks that Momochi's cute!? 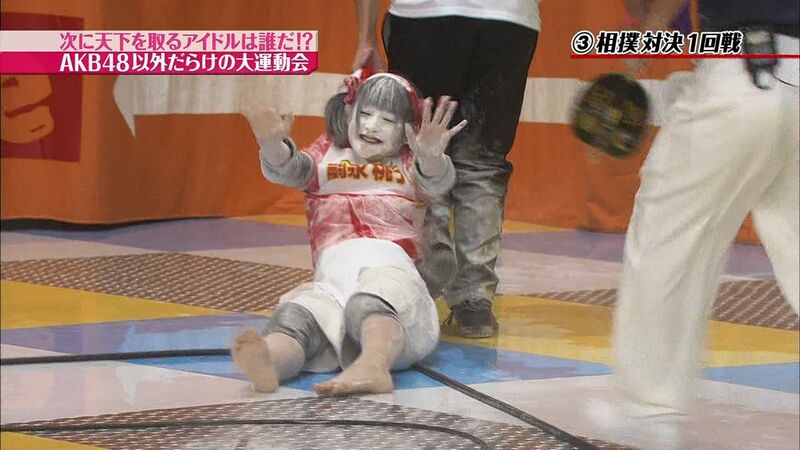 Who thinks that Michishige-san's cuter!? You in Osaka! Cap, necktie, camouflage! You clapped for Michishige-san! Whose event did you come to watch? Oi, Osaka! Blue jacket, glasses! The guy diagonally behind camouflage! You know who you are, raise your hands~! Right, you guys, go to Cotton Club! Q66. Who would you nominate as the second generation Momochi? I don’t think there’ll be one, and I don't think that there needs to be one. Q67. What foreign country would you like to go to? Like Belize. Wota: But there’s public disorder in Belize. Belize? Hmm? What? Public disorder? You have no dreams. I’m not a fan of planes, and ships make me seasick.. If it wasn’t for work, I wouldn’t have gone overseas, I wouldn’t even have made a passport. Q68. What do you want to do after graduating, besides work? I said this in the first part, but I’d like to do some late-night binge-eating. I’ll do puzzles! I'll be like, ‘Whoa, this part goes here~’. Okay, okay, I'll make sure to get out and bathe in the sunlight! Q69. What do you want to do after graduating? Again? Guys, what’s up with this? Isn't there anything else you'd like to ask besides this? Q70. It feels like you grew out your hair to rise to the challenge against the young ones. Is there any sort of hairstyle that you would like to try? I grew out my hair after seeing Chisaki-chan playing tennis with her hair in a ponytail. I thought that it looked nice. However, I've grown tired of it. it's gradually become more of a pain to maintain. Guys, how many minutes do you spend using a hairdryer? 5 minutes? 3 minutes? Zero minutes!? You don’t use hairdryers!? You just dry your hair off with a towel? That must help save on your electricity bill, huh? My hair’s pretty voluminous, so it doesn’t get dry even after blowing it for 15 minutes. Don’t get hung up on such things! Q71. 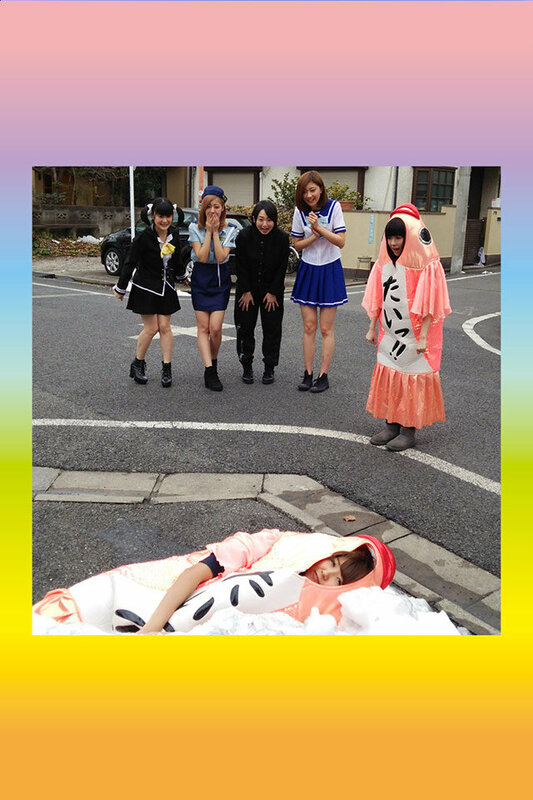 There was a yes/no segment at Berryz' Okinawa tour. You were asked whether you thought that your fans were the happiest. You said no at the time, but how about now? I think that my ways don't jive with how the idols of the present act. But still, if you were to tell me that you were glad that you supported me, that would make me happy as well. Q72. Within a minute, talk about what you find captivating about Yuzu. 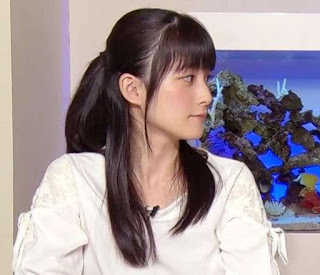 Can you talk about what you find captivating about Momochi within a minute? You can't, right? It’s impossible, right? Q73. Without Momochi around after July, I don't know what to do. Please advise us fans on how to deal with the Momochi loss. How can we find at least a sliver of happiness after you've graduated? Somehow or the other, humans will discover new and different interests. It’ll be fine. How about you quit thinking about beyond July? Just enjoy the present, as much as you can. From July onwards, what will be, will be. Live, enjoying each moment even more than the moment before. What's this? (laughs) Isn't this too much of a coincidence? What miraculous timing. The god of laughter must descending upon us now. Q74. What do you want the fans to do in these next three months? There’ll be a lot of events, so I don’t want you to feel forced to come to them. But if you have the opportunity to come to an event, and aren't sure whether or not to come, I want you to come. I think it’s better to have regretted coming rather than regret not having come at all. Even if you come and think that it wasn’t that interesting, I’m fine with that. Q75. Give some advice to the future of Hello! Project. There are many idols around now. But it was your destiny to pass the H!P auditions and become part of us. I want you to be idols with pride in your hearts, proud of being part of H!P. Q76. What's your favourite Country song? Hmm, let me ask you, what songs do you like? That’s right. In the end, all of them! Q77. You patted Yanamin on the forehead when you were seated at the bleachers. Is this something that you always do? Has it brought any benefits? It’s because Yanamin’s forehead is a locus of power. Once, I gave Yanamin advice, but she couldn't get it right. Having made the same mistake twice, I gave her a headbutt. Turns out that my head was harder (laughs). Q78. It's cute how you refer to yourself as 'Momo-chan' recently. Q79. Tell us about an emotionally moving moment you experienced with Country Girls. I got a novelty button badge. But I don't really know how to appreciate such things, so it was wasted on me. When I get things that I don't need like button badges or plushies, I generally give them to Ozeki Mai-chan as presents. So with Mai-chan on my mind, I wrote a message on the reverse side of the badge: 'Mai-chan, you're always such a hard worker'. Then I attached it to her backpack without telling her. The others had seen me write the message and knew that I had put it on her bag, so they were chuckling as they looked on. And then Mai-chan noticed the message on the reverse side of the badge. Q80. Which of your photobooks do you recommend? Well, all of them are good. But those of you who are at this event bought the photobook that came out recently to gain entry to this event, right? In that last photobook, there really isn’t a single slip-up. Q81. Tell us honestly: Isn't it a pain to answer 100 questions directed to you? There are things that you should and shouldn’t say! White, because it’s still unsullied. Q83. I don't have confidence. Tell me how to be confident in myself. You know what, I can tell just by reading this question, it shows in your writing. Your writing is small. The size of your writing expresses your confidence. Look at my writing. It's huge. So is Ozeki Mai-chan's. On the other hand, Risa-chan and Musubu-chan's writing is small. They're timid. So start by writing big, and have confidence. Q84. What do the Country members do that you find adorable? In the dressing room, when Risa-chan and Chisaki-chan are looking at the mirror, Mai-chan will exchange winks with them using her reflection in the mirror. I find that pretty cute. When she does that, Chisaki-chan acts all grown-up, like ‘I get it’, and that’s cute as well. Q85. Which part of you do you like the most? It’s got to be my face, I guess. Q86. If you could have been in charge of the whole setlist for Berryz' last Budokan on the 3rd of March, would you have put Love Together! at the end? At first, I thought that Towa no Uta would be a better choice. Like we should end on a cheerful song. But having done it with Love Together!, I think it turned out well. So in the end, what do I know? It was an amazing concert, if I do say so myself. Q87. Berryz Kobo won the au photobook competition and acquired the right to have a special broadcast on All Night Nippon. What if Country had been part of the competition? Ah, that. I worked really hard for that. So I guess I can talk about it now? It’s fine, right? At the time, Yuzu-san were the Thursday regulars on ANNG. I'm a regular listener of Yuzu-san's ANNG show, and they would introduce the guests who would be appearing on ANNG on the next day,. And that slot just happened to be the slot that would be awarded to the winner of the photobook battle. I really wanted them to say our name! So I put my game face on and asked the members to please please cosplay so that we could win the photo battle. Everyone got on-board with my cosplay suggestion. So what if Morning had a commercial with au? I wanted to be called out by Yuzu-san! We won it, and on Thursday, Yuzu-san said the words ‘Otomomochi’! Thank you very much to all you fans who sent in your votes! Many people put their favourite groups in first place, but there were a staggering number of people who put Berryz as their second place. Thank you to the members, the fans, and those who voted us as their number two! Q88. Any recent stories with the Berryz members? HinaFes was so busy, so we couldn’t really meet or talk. It would be nice to meet up with them when there’s more time. Q89. In the current Country, who's the most suited to be on the variety circuit? Even in MCs, they all seem to fear the silence. Q90. After July, I want to see you occasionally. When will we see you again? Let’s meet in our dreams. Q91. How did you train your body in preparation for the photobook? I was already in pretty good shape when they came to talk to me about it, so I didn’t really need to train for it. I ate too much when I was in Berryz. Things like udon, donburi, spaghetti were normal fare, so I would end up joining in with the rest and eating as well. Everyone in Country eats so little, and it’s like mealtime is done before I know it. I thought that I’d have an impact on the members, but I immediately grew used to it. Q92. What if the world is going to get destroyed tomorrow? Q93. 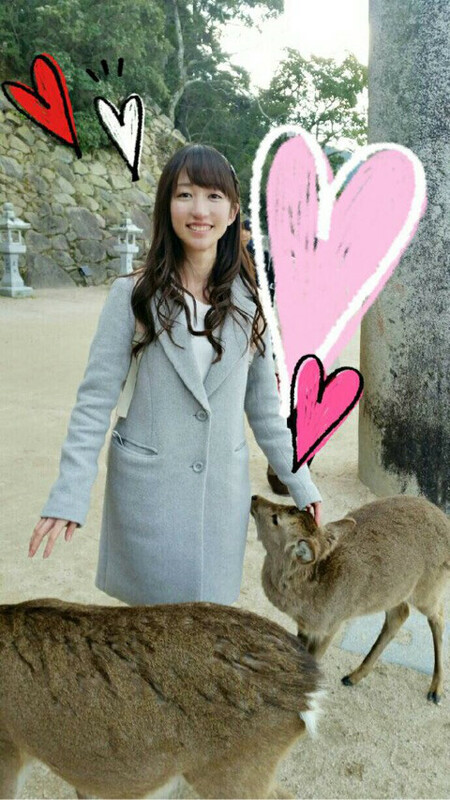 Momochi, you're the best idol. Who will be the next great idol after Momochi? Everyone’s tastes differ. So wouldn’t it be better for all of you to think of it yourselves? Q94 In a word, what is ‘Tsugunaga Momoko’? How about I ask you instead? Q95. Please provide us some homework for us strive for in the future. Please keep your eyes straight towards the future, and advance forward. Q96. Who is your favourite anime character? Card Captor Sakura! I watched the revived movie version! What a joy! Q97. What time do you generally wake up? Q98. You're not good with animals. Were you scared when you held the puppy in Koinu Dan no Monogatari? I didn’t have the leeway to be scared. Q99. If I just happen to see you somewhere after you've retired, is it fine to call out to you? Please watch over me quietly. And please don’t write about it on Twitter. Q100. When shampooing your hair, how many presses of the shampoo bottle do you use? Extra: A post-event conversation between two of the wota I used as sources. I talked with tozamasan after the Momo event as we were going down the stairs. The smartest and funniest Idol that i've ever know. I'm going to miss her a lot.